I always feel so good when I eat whole foods. 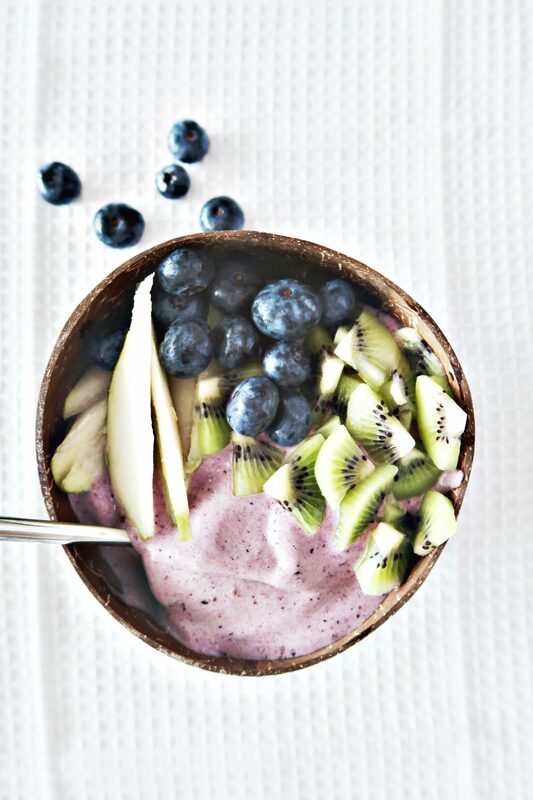 And a smoothie bowl for breakfast is the perfect start of the day! 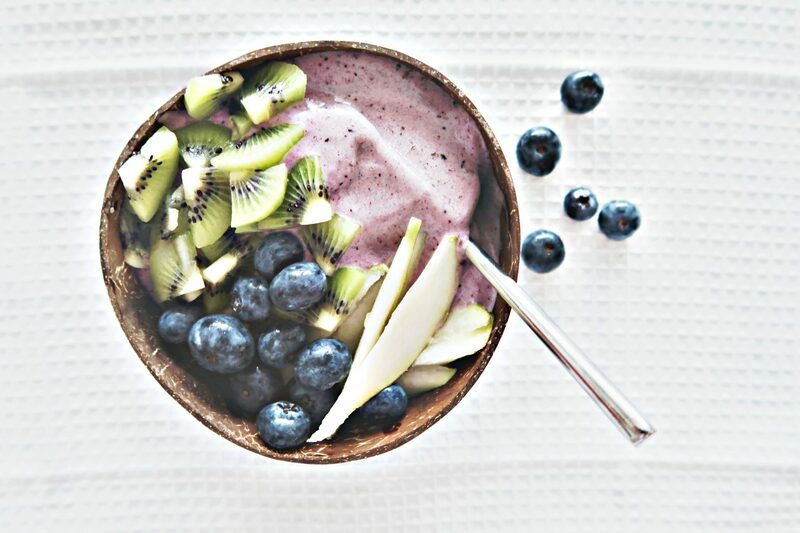 In the smoothie bowl I blended together frozen bananas, blueberries and vanilla protein powder. 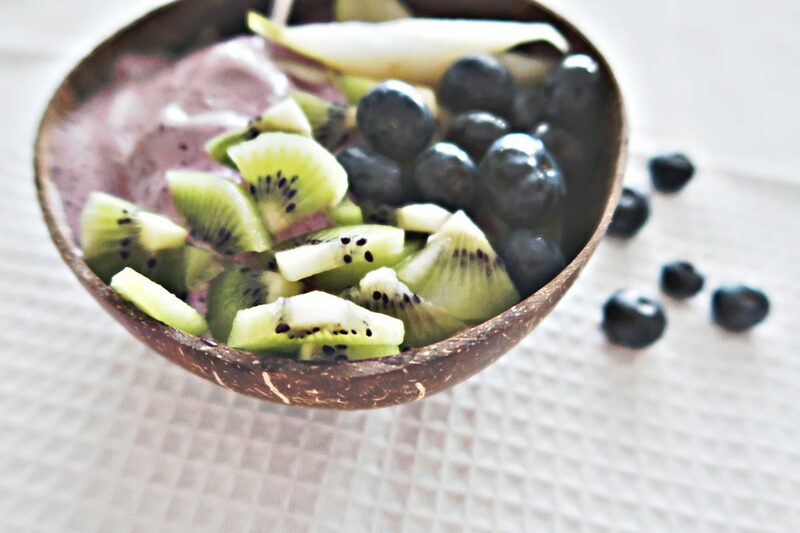 Topped it with fresh kiwi, blueberries and pear. YUM! It was delicious! 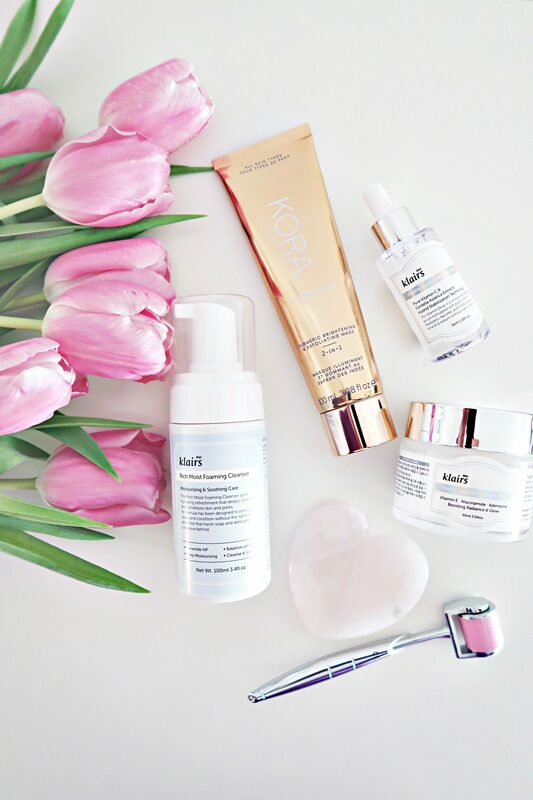 <3 I´m glad you liked it!